The best athletes know that there’s nothing like music to motivate you when you’re exercising. Just imagine if the Rocky movie had no background score while he was training… it would have been absolutely boring. In the same way, when you’re engaged in any exercise or sports such as lacrosse or even chess, the best sport headphones will keep you motivated, focused and energetic. As usual, there is a wide variety of headphones to choose from but only a few good ones actually make the cut. Knowing which ones to pick can be confusing. That’s why we tested and narrowed down the selection to the best sport headphones on the market. The reviews and information below will guide you and help you make an informed decision when choosing the best sport headphones for yourself. Lightweight. It’s best that you have a headphone that is light and manageable. If you have a headphone that is heavy and weighing your head down, your head movements will be more tiring and depending on your activity, you may feel restricted in your movements. Durable. Since you’ll be using these for sports, it goes without saying that they need to be durable enough to last through the jerky activities and sometimes rough movements. The sport headphones have to be sturdy and be able to withstand the rigors of the activity you’re engaged in. Comfortable. Comfort is a very important factor. Ensure that the headphones are secure, have soft padding and no cords or wires that get in your way. Sound Quality. As with any audio device, sound quality is crucial and the headphones you pick will need high quality sound reproduction. Since you’ll be using these for sports, you will not need as much detail as headphones than an audiophile would pick, but you do want a deep accurate bass, clear vocals and a well-balanced sound. The BTS+ Sports Headphones were a clear winner in our tests. 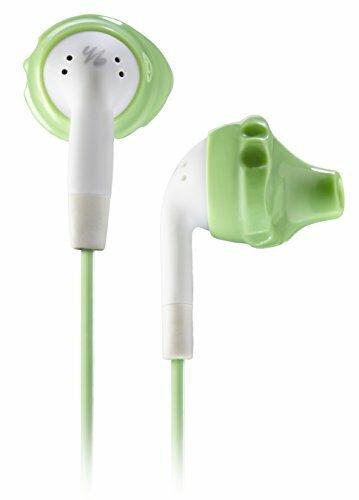 If you are a gym rat, love running or highly active, these headphones were made for you. 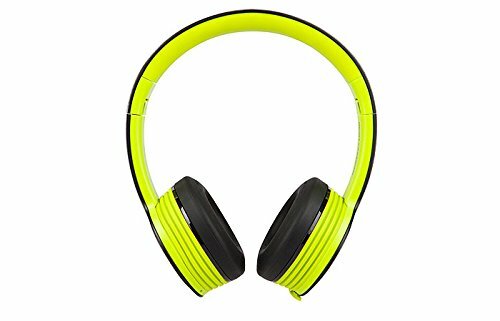 We have ranked them in number one place here and also on other lists such as Best Workout Headphones and Best Bluetooth Headphones for Running. 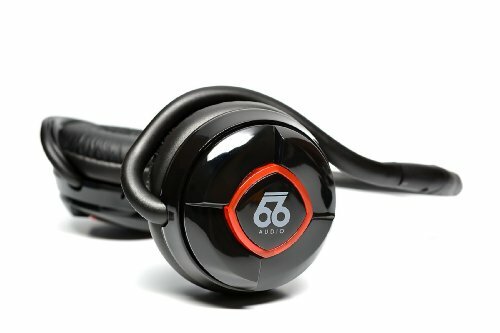 The sound quality and ease of use is what made these headphones the clear winner. The large controls are easy to use. The headphones pair with most other devices and the sound quality is superb. Something unique about this set is that it’s able to pair with 2 devices at the same time. So, you’re in a position when you can listen to music that’s stored in an audio player other than your phone… and you can also answer calls from your phone just by using the headset. To make matters better, the headphones have a range of up to 30 feet. You’ll fine nice, easy to use buttons located on the outside of the ear cups. You can use these buttons to control the volume, answer or reject calls, shuffle your tracks, turn on Bluetooth connectivity, etc. You can easily do this even if you’re tired or have sweaty palms because the buttons are relatively large and easy to reach and toggle. The sound quality is just phenomenal and these noise-cancelling headphones have no hissing sound that is usually found with most conventional models. It’s also able to handle a wide range of music from reggae to classical to dubstep without any issues. This is good balance and clarity. Just fantastic. If you’re looking for good quality sport headphones, these are as good as they come. You can’t go wrong with them. 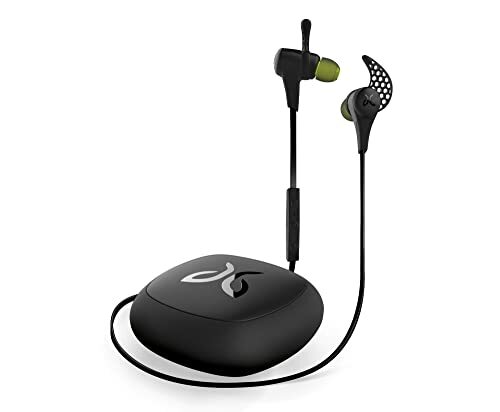 Coming in a close second is the Jaybird X2 sport. It has great sound quality, is very versatile and is actually our number 1 pick for best Bluetooth earbuds. What makes the Jaybird X2 so good is that even though it is a wireless set, it sounds just as good as it’s wired counterparts. The clarity of the sound is unbelievable and you’ll be listening to the music exactly as the artist intended it to sound. Even at high volumes there is no distortion and the Jaybird X2 fits very securely. It can be highly annoying when you have earbuds that constantly slip around or shift about changing the dynamics of the sound. Thankfully the X2 is nothing like that. The fit is customized to suit you. 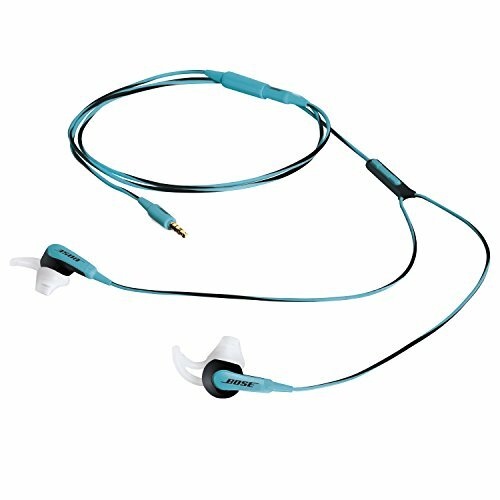 The 2 earpieces are connected by a rubberized band that either goes behind the neck or under your ear. You are also able to adjust the cable and this makes the X2 a very versatile model. Jaybird definitely considered the needs of athletes when designing the X2. The set comes with a hard case to transport the headphones which are already durable. Nevertheless the extra layer of protection helps safeguard you head phones even further. If you’re looking for wireless sport headphones with sound quality similar to the BTS+ but you prefer them as earbuds, the Jaybird X2 is perfect for you. It’s one of the best on the market. One of the most unique features of this headset is its uniquely-shaped eartips. They’ve been designed to fit into your ears snugly so that they don’t fall out. Made out of flexible and soft material, these eartips can be inserted at various angles to fit your ear. It’s safe and comfortable. The same can’t be said if you’re using rigid eartips that are common with poorer quality headphones. These eartips will hurt or puncture your ear if you try to insert them too deep. So, be very careful. These headsets allow for more ambient noise but still manage to have great sound. Athletes or those who use headphones during activities such as running, cycling, skiing, etc. need to be able to hear their surroundings. This is due to safety. You need to know what’s happening around you so as to prevent any mishap from occurring. The Inspire set has dialed down the high-mids so that they don’t overpower the ambient noises. Because of this, some of the instrumental sounds may get muddied and may bother audiophiles. But for most people the sound quality will be just fine. If you’re looking for sport headphones that have good sound, comfort and an affordable price tag, the Yurbuds Inspire is a good model that you’ll be able to use anywhere you wish. Just like the brand, the Monster’s iSport Freedom is all about style, ruggedness and quality. This is one of the sleekest and most durable headphones we’ve seen. The iSport Freedom has Bluetooth features which are compatible with most devices. You are also provided a detachable cable so that you can use them as a traditional wired set. This will come in handy should your batteries be weak or you’re in a situation where you don’t mind being connected to a device. The construction of this headset is sturdy and made for sports people. The reflective trim is for safety and the antimicrobial ear cushions are great too. Sound quality is excellent and the on-ear design ensures that you have a wide soundscape. However, we found the bass to be a little strong and some parts of the music did sound a little unnatural. If you’re looking for headphones that have that rugged, sporty look and has an overall good sound production, you may wish to get the iSport Freedom. The Bose brand name is synonymous with high-quality and the SoundSport lives up to the Bose name. It is durable and the sound quality is superb. This is definitely one of the best sports headphones on the market. You get an option of using a long or short cord. This allows for much flexibility. You get a short cable and an extension. So, you can use the one you prefer. Just like most Bose audio products, the SoundSport has reasonably good bass tones but focuses on the low-mid frequencies. It has a wide soundscape so you get the feeling like you’re watching an orchestra. It’s a Bose product and that itself says enough. It’s a solid product and one of the best sport headphones on the market.